Despite how favorably the band has fared in hindsight, it may seem unfathomable to modern music fans that Queen was one the most critically maligned bands of their day. Upon hearing the film’s eponymous song, at least one journalist accused them of trying to imitate Led Zeppelin, which is quite ironic given that band’s own initially unfavorable critical reception even five years prior. Because of this, it’s unusually fitting that Bryan Singer’s biographical film about the band would fare similarly. While the professional reviews were largely indifferent to the film, fans adored it, and it proceeded to make $800 million on a $55 million budget. In a development no critics foresaw, the film proceeded to receive a staggering five Academy Award nominations, including Best Picture. In spite of its lukewarm reception, I can say there are plenty of great things to say about Bohemian Rhapsody. First and foremost is Rami Malek’s depiction of Farrokh Bulsara, better known as Freddie Mercury. He manages to channel the legendary singer’s charismatic, flamboyant magnificence to the point where it’s easy to forget he’s not the genuine article. Freddie is portrayed as the quintessential rock star: provocative, loud, and rough around the edges, yet ultimately good-hearted when push comes to shove. Though you may not always agree with what he does, Mr. Malek’s performance will retain your interest every moment he is onscreen. What also helps this film’s cause is that it has incredible source material to work with. Many bands break up because of creative differences between its members, and although Queen was active as of the release of Bohemian Rhapsody, the untimely death of Freddie Mercury effectively marked the end of their classic era. Every music fan watching this film knows the circumstances surrounding his death. He was one of the many victims of the incurable, invariably fatal AIDS virus. Carriers of the disease had been cruelly stigmatized throughout the eighties due to the incorrect perception that only gay people could contract it. It wouldn’t be until the early nineties when verifiably straight celebrities came forward and revealed they too had the disease that the stigma was lessened. Either way, the moment in which Freddie reveals his condition to his bandmates is downright heartbreaking. Just like in real life, he wished to keep it between themselves; Brian May once stated in an interview that they didn’t even tell their families about it. Only one day before his death in November of 1992 would Freddie announce to the public that he had been battling the virus. Despite its favorable fan reception, I fully understand and agree with the reasons critics were on the fence about it. The biggest problem with Bohemian Rhapsody is its pacing. 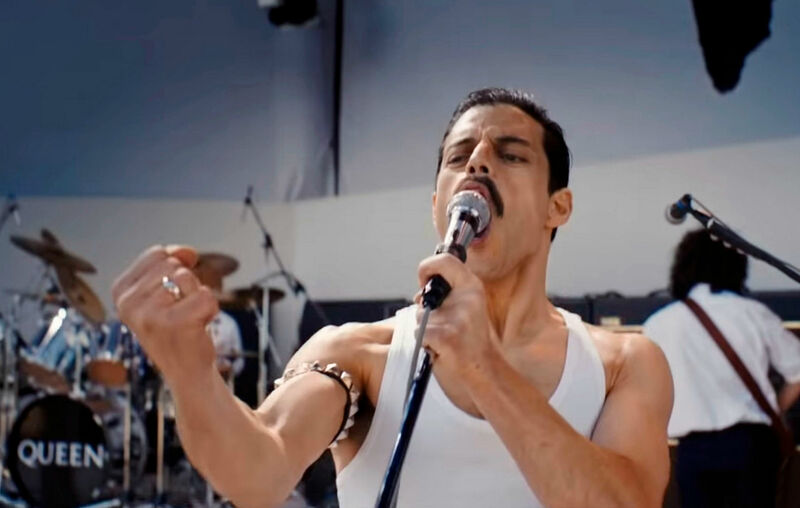 This film covers the period from Freddie Mercury forming Queen with Brian May and Roger Taylor in 1970 to their iconic Live Aid performance in 1985. By 2018, it was exceptionally rare to see a three-hour-long film in theaters, as Hollywood executives were convinced that their audiences had short attention spans. The reason I mention all of this is because I have to say that 134 minutes wasn’t enough time to do the Queen story justice. As a tangential result of the prevailing executive climate in Hollywood, the film is horribly compressed. Freddie is shown walking up to Brian May and Roger Taylor, and after a single conversation, he’s in the band and they’re considering selling their van to produce their debut album moments later. Although I could tell Mr. Singer knew which parts of the story to keep, he unavoidably had to gloss over or reinterpret many important details in order to compress it to a feature-length release. The film also has a bad habit of handing the protagonists their successes on a silver platter, which I feel can be attributed to hindsight bias. I say this because the characters talk as though they can see the future. Of course, “Bohemian Rhapsody” would become their signature song. Of course, they would be able to hang their hats on “Another One Bites the Dust” throughout the eighties. Of course, “I’m in Love With My Car” would eventually be considered something of a joke in their repertoire. The most egregious example involves an EMI executive who doesn’t believe that “Bohemian Rhapsody” will ever become a hit. Said executive was both invented for the sake of the film and played by Mike Myers, making the joke painfully on-the-nose and tired before it was even told. Part of the fun of watching a biographical feature is watching the pieces fall into place, but the characters should not be along for the ride with the audience. It’s also worth mentioning that the film doesn’t exactly stick the landing gracefully. After watching the events unfold at lightning speed, the recreation of the Live Aid concert practically takes place in real time. Though the performance itself is speculator, it still comes across as pointless filler. That screentime would probably have been better spent expanding some of the prior scenes or giving more attention to Freddie’s bandmates, who were every bit as important to their success as he was. It does end the film on a high note, but it was highly unnecessary given the general mood leading up to that point. 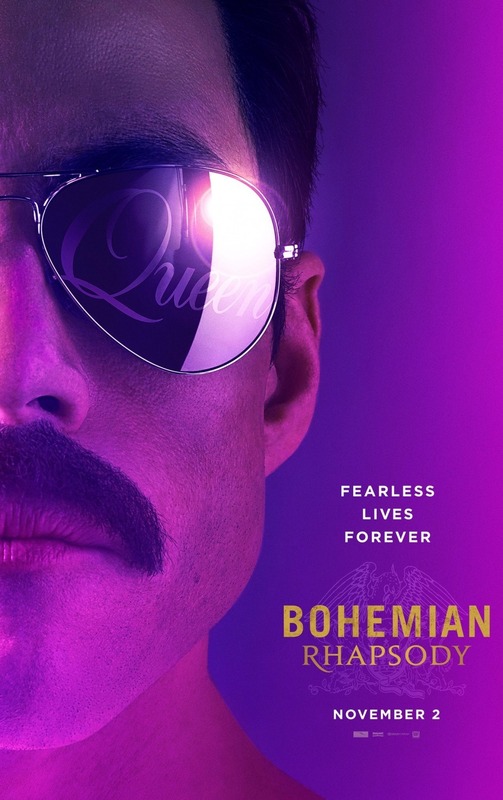 Bohemian Rhapsody comes across as the result of its director following the basic outline of what a biographical film entails while only contributing the bare minimum of personal touches. I can certainly appreciate why this film managed to be such a crowd-pleaser, for it has no shortage of individually great moments. It’s to the point where even those who disliked the film couldn’t help but laud Rami Malek’s performance, and it the praise is doubtlessly deserved. However, as great as these individual moments are, there is so little cohesion between them because they’re never allowed a chance to settle. You’ll find yourself cheering one scene and by the time you’re finished, the film has already long since moved on. Realistically, to capture the full scope of such a legendary band, Bohemian Rhapsody needed to be a miniseries. Brian May is one of the greatest guitarists of all time, and he is practically relegated to the background in this film, which doesn’t do the Queen story justice. Instead, I think of Mr. Singer’s film more as a clip show of talented actors and actresses recreating the story than a fully-fledged narrative in its own right. The film managed to resonate with a large audience, and I couldn’t possibly take that enjoyment away from them, nor would I if I had the means to do so. Still, the only people to whom I could possibly recommend Bohemian Rhapsody are Queen fans. If you have no interest in their music, you’re better off looking elsewhere. Great review. From the trailers it did look, to me, like a cookie-cutter biopic and take on Queen rather than an in-depth account of Freddie Mercury’s life. Which is what I was hoping for. Also that Mike Myers cameo sounds truly awful. Wow. Yeah, cookie-cutter biopic is right. It really needed to be a miniseries to do the story justice. 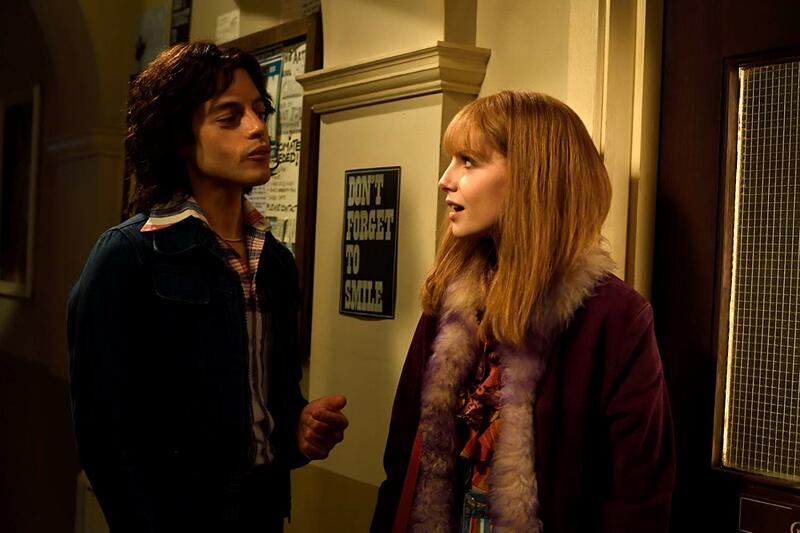 As someone who likes Queen, I’m not entirely sure why it got nominated for Best Picture. It is awful and the joke is ridiculously tortured as a result. As I said in my review, it was really the distortion of the facts and the abuse of the musical timeline that drove me nuts about this film, otherwise it was I thought it was well done. Malek was certainly amazing as was the guy playing Brian May, who doesn’t get enough praise for his essaying of May’s little foibles and quirks. I have to disagree about the Live Aid segment being filler – it was long held to be Queen’s finest moment by the band and fans alike so it was perhaps fitting to end on a high rather than Freddie’s death and it worked! I actually welled up during “We Are The Champions” as did my mum and many others in the cinema. It is the first time since “Whiplash” that a finale left me that moved and speechless. I know what you mean; moving his AIDS diagnosis to before the Live Aid concert was pretty egregious. In real life, he wasn’t diagnosed until 1987, so it was clearly done to leave more of an emotional impact on audiences when he started performing. And I stand by my opinion of the Live Aid recreation because it came across as filler following the highly compressed story leading up to it. Had the film been longer (or a miniseries), I likely wouldn’t have seen it as a flaw at all because it was a well-done sequence.